Photo Emma Mitchell. 3.11.15'Traffic outside Woodhill Primary, Kirriemuir Road. Officers and community traffic enforcement wardens are patrolling sites throughout East Dunbartonshire at the start and end of the school day. 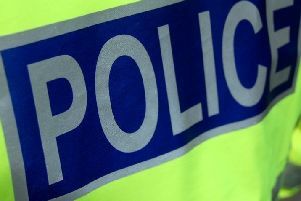 Two motorists have already been charged with driving offences outside Woodhill Primary School in Bishopbriggs. Police have also sent out letters to parents warning them of the dangers on the school run. Area Commander Chief Inspector Craig Smith told the Herald: “Despite numerous warnings some people still unfortunately do not seem to put the safety of the children as their number one priority when they are driving and parking near to schools. “I receive complaints almost daily regarding this. “My officers will regularly be deployed to schools across East Dunbartonshire in both marked and unmarked vehicles, and will be undertaking robust enforcement of legislation. “I need to get the message across that careless and dangerous parking and driving, particularly in and around schools, cannot be accepted in the community. “Where we see offences being committed, drivers will be reported to the procurator fiscal, which could result in a possible driving ban. “This has already commenced with two people being reported for driving offences.